Why can't I place an order for an international customer? If you are unable to create an order for an international customer (i.e. 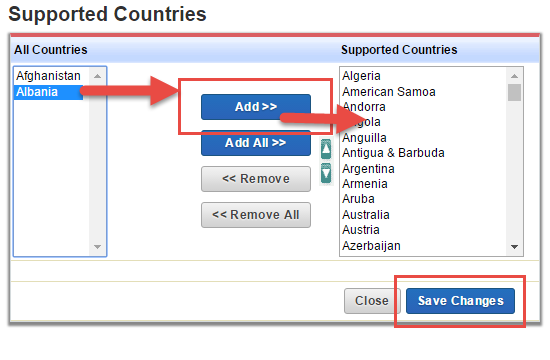 you cannot select their country), then their country is not on your Support Country List.